PATTERSONVILLE, NY– Eleanor (Ellie) Nehls age 52, went back into the loving arms of her mother and father on Saturday, September 26, 2009. Born in Albany, NY on May 22, 1957, she was the daughter of the late Erich (Sr.) and Clara (Cyeklewski) Nehls. She was a resident of the Schenectady ARC group home in Pattersonville, NY. Survivors include her brother Erich W. Nehls Jr. and his wife Eileen of Nassau, NY and her nephew Erich E. Nehls of Milwaukee, WI, niece Lori Nickerson, and grand-niece Julia Nickerson, both of Framingham, MA. Ellie enjoyed traveling on group trips and spending time with her friends at the Princeton Ridge Day Program. She also enjoyed being pampered with hair coiffing and manicures. She volunteered for the Salvation Army as a bell ringer during the holidays and also was a member of an area bible church. The family would like to thank the entire staff at the group home in Pattersonville, NY who took such loving care of Ellie each day. Services will be held Tuesday at 6:30 PM at the Hans Funeral Home 1088 Western Ave., Albany. Calling hours will precede the service from 5:00 until 6:30 PM. 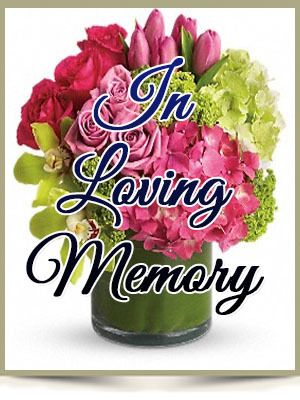 In lieu of flowers, the family requests that memorial contributions may be made in her memory to Center for Disability Services, 314 South Manning Blvd., Albany, NY 12208. I was very sorry hear of the passing of Miss Ellie. I was one of her caretakers. I enjoyed Ellie’s company very much. I have good memories of Ellie. Working at Minard House was a very rewarding experience for me. My heart goes out to her family and the staff at ARC Minard House. I am so sorry for your loss. Sisters are a very important part of life. I will remember you in my heart and in my prayers.